When it comes to heating the house, most of us have two options to choose from – the heat pump and furnace. Therefore the question often arise which is better – a heat pump or a furnace. •	A heat pump works by drawing heat from the external environment and moving it inside. It is powered by electricity. It can also reverse its cycle to cool the house. Therefore it is a complete package for the year–round heating and cooling. •	A furnace on the other hand works by com busting fuel which could be oil or natural gas. It can only provide you heating and no cooling. From here you can draw an essential advantage of the heat pump over a furnace. A heat pump both heats and cools. A furnace only heats. In case of the latter you will need to buy an additional a/c to serve heating and cooling needs of the house. •	Next we will take a look at the efficiency of heat pump. The efficiency of furnace is measured by using a rating called Annual Fuel Utilization Efficiency (AFUE). The AFUE can be called a SEER rating for haters. If a furnace has AFUE of 60%, this means that it is able to convert 60% of the fuel that it uses into heat. The rest of 40% goes in sheer waste. It is exhausted through the vents. The higher the AFUE, the more its efficiency. Furnaces on an average can have highest AFUE rate of 95%. So no matter even if you buy a high efficiency furnace , you can expect that 5% of energy will go into waste. Electric furnaces have a higher efficiency rate, as it does not give out exhaust gases unlike a fuel furnace does. But prices of electricity are spiraling each day. •	A heat pump as already discussed does not work by burning fuels. So its efficiency cannot be measured in AFUE (Annual Fuel Utilization Efficiency). It is measured in SEER. It is called the Seasonal Energy Efficiency Ratio. Modern heat pumps have a minimum SEER arte of 13. Today you will find heat pumps with SEER rate of 16 or 17. An air source heat pump can give three times energy for per unit of power it consumes. A geothermal heat pump has an efficiency of 300 to 400 %. So in times of efficiency, heat pumps are way ahead compared to furnaces. •	A heat pump is an eco-friendly device. As it does not burn fuels, therefore it does not exhale greenhouse gases into the surrounding. •	A heat pump however may not be able to source enough heat in peak winter times as the outside temperature may reach sub-zero. In such times the emergency heat which is integrated in the system will be activated. This is basically an electric resistance heater. However heating your house with emergency heat will have significant impact on utility bills. •	A furnace will heat your home in all conditions, regardless of what th outside temperature is . •	Cost of a furnace is generally around $500 to $1000. This is cheaper than a heat pump. This does not include the cost installing ductwork. An air source heat pump will cost more or less close to this. But cost of installing geothermal heat pumps is way higher. Therefore government offer tax credits to encourage people to turn to these renewable means of heating and cooling. 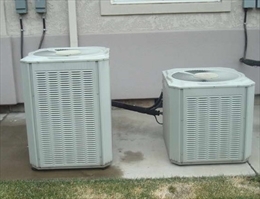 •	Installing heat pumps especially a geothermal one is an extensive work. It starts from digging to burying pipes in the ground or in water sources. You should also have a proper discharge system for installing an open source heat pump. The environmental regulations in many areas may not allow you to explore a water body for installing heat pumps. Moreover yon need to have clean source of water for a water source heat pump. Installing geothermal heat pumps can wreak havoc to the landscape around the house. Installing them also need expert installer which is hard to find. •	But the operational cost of heat pump is way lower compared to furnace. This is because its output is quite higher compared to electricity it consumes. Depending on the type of furnace that you purchase, you can be spending thousands of dollars a year on fueling your furnace. •	Heat pumps offer whisper-quiet operation unlike a furnace. There is no risk of carbon monoxide poisoning with the use of a heat pump. •	A gas fired furnace usually has a longer lifespan than a heat pump. A heat pump is used round the year as it can wear the hat of cooler as well as heater. So you should get it serviced twice a year. Furnaces are used once a year during winter. So servicing them once a year is enough. •	A gas furnace has fewer mechanical parts than a heat pump. So it is subject to less chances of break down or malfunctions. 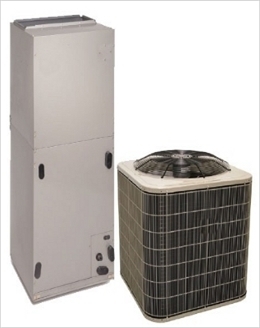 You can decide between a heat pump and a furnace on the basis of these pros and cons. Heat pumps are more suited to areas with mild winters.